It’s every landlord’s nightmare: 10 people arrested for criminal activity at a rental property. That’s what happened when RCMP officers raided a B.C. rental home, after numerous complaints from neighbours over noise and disorderly conduct prompted a search warrant. Along with those arrested, many other occupants were ejected from the home. According to a report, the long-standing dispute spilled out into the streets, and even onto the Internet, where neighbours posted videos to “shame” the tenants. In return, tenants mocked the neighbours by “liking’ the videos. Now, the noise has ended — along with any rental profits — because the house has been closed, deemed unfit for habitation. The landlord says he is suffering just as much as anyone. He says the eviction system, and the police, have let him down. Obviously, landlords can’t stop everyone who is inclined to commit crimes, especially crimes of that magnitude. However, in addition to screening tenants who are likely to become problems, landlords can protect their properties with a strong tenant guest policy. Keeping track of occupants in the rental property and reserving the right to run tenant background checks on new occupants can reduce the risk of property damage, and may prevent a property from becoming a crime scene. 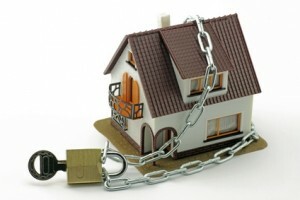 In this case, the landlord was able to remove unauthorized occupants. That’s an important right to maintain in the lease agreement. A strong guest policy encompasses a multi-tiered approach. For example, a landlord may include language that makes tenants aware they are liable for the actions of guests. In addition, any long-term guests are required to undergo a tenant background check. Even where landlords cannot exclude a new occupant, typically they can enforce that provision in order to keep potential criminals out of the property. It is also critical to make violating the guest provision a material breach of the lease agreement so it serves as grounds for an eviction. An anti-crime provision, along with prohibitions against noise and disorderly conduct can bolster the landlord’s rights. This language may be available through a local Crime Free Multi Housing program offered by police in your area. The more ammunition, the better because bad tenants often commit more than one violation at a time. If you can’t prove one, perhaps you can enforce the remaining provisions. Provincial law will dictate just how strong a guest policy can be without violating a tenant’s right to privacy or human rights, so seek legal advice to make sure your lease will protect you and your property without discriminating against the tenants.